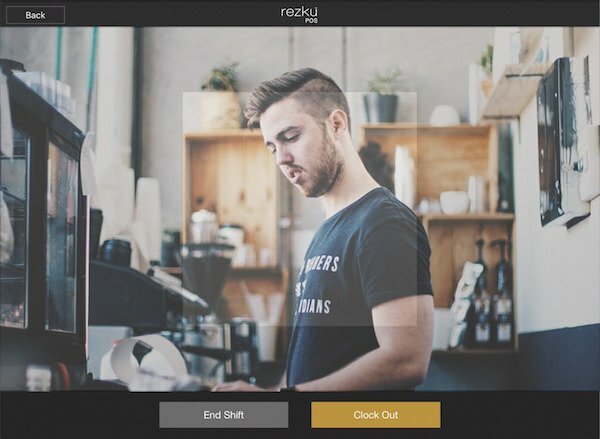 One of the great features of Rezku POS is the ability to track labor and create timecards. 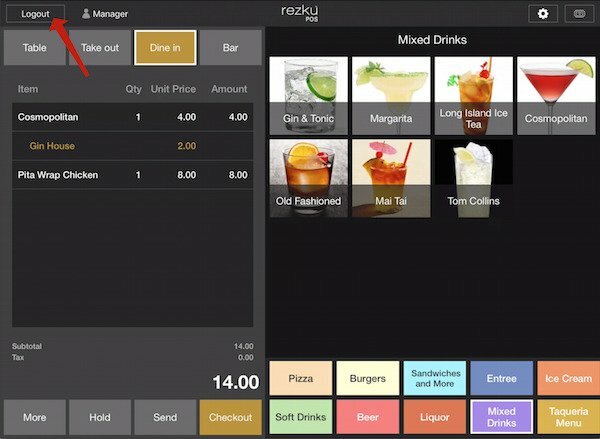 Clocking in or out of Rezku POS creates a reliable record for management to review in Back Office. It also increases employee accountability and compliance. 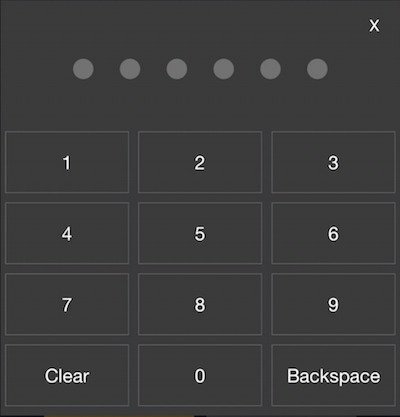 After a transaction, the default screen is the PIN entry lock-screen. You can bring up the PIN screen by tapping Log Out in the top left corner of most screens. If an order is open when the Log Out button is used, it will be sent to the Tickets list, just like a Hold. When beginning a shift, coming back from lunch or scheduled breaks, employees must clock in to ensure accurate reporting of labor. On the PIN Screen, tap the gold Clock In button. 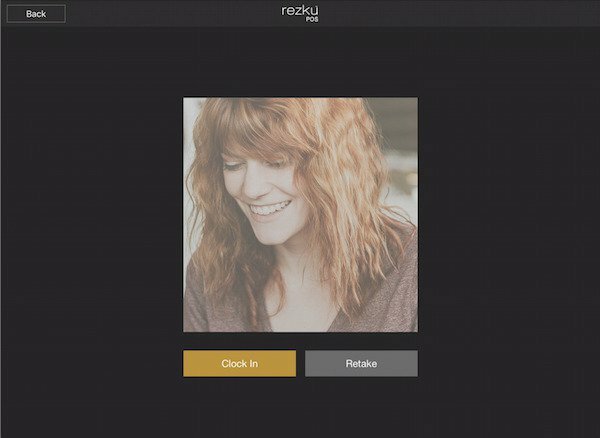 The Clock in Screen uses the iPad’s camera to record the employee’s image. To clock in, the employee must tap the Clock In button on this screen. After their picture is taken, the employee has a choice to Retake or Clock In. 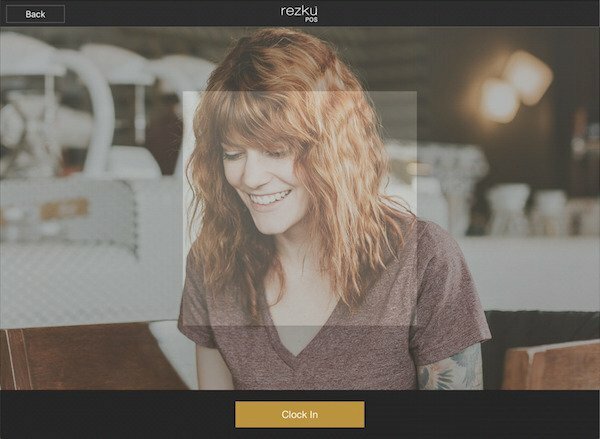 To finish clocking in, the employee must accept an image and tap Clock In on this screen. The employee is then required to confirm by using their secret PIN. The combination of the secret PIN and the photo create accountability and ensure employee compliance. When the employee has successfully clocked in, a green notification will momentarily appear in the top right corner stating “Clock In Successful”. When ending a shift, starting lunch or scheduled breaks, employees must clock out to ensure accurate reporting of labor. On the PIN Screen, tap the gray Clock Out button. 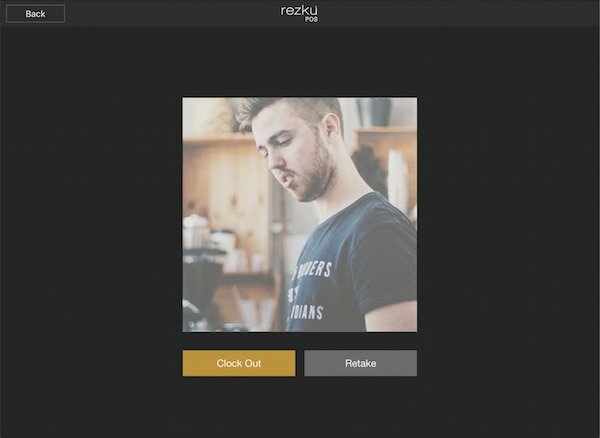 The Clock Out Screen uses the iPad’s camera to record the employee’s image. The End Shift button should only be used at the end of the employee’s shift. Use Clock Out for breaks and lunches. To finish clocking out, the employee must tap Clock Out.